A 2D puzzle platform video game designed by Terry Cavanagh and scored by Magnus PÃ¥lsson. This is full game with all needed data files, ready to play. will the optimisations in this PND also get applied to the other version (where you need the gamefiles to play) because thats the one i use? If you ask me, a copy of VVVVVV is worth $50, not $5. The music alone is worth $25. I'm buying my fourth copy now! This is one of my favorite games, awesome gameplay. Try the demo. Look in youtube. Read the reviews. 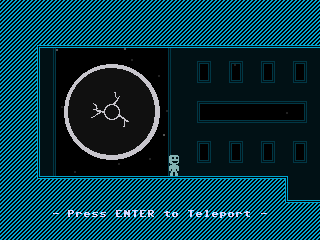 Destructoid knows where it's at, gave VVVVVV a 10/10 rating. Completely open console, pay game.